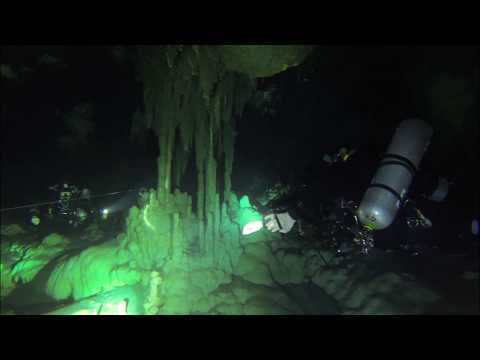 Sac Aktun (The White Cave) and Ox Bel Ha (Three Paths of Water) are the two longest underwater cave systems in the world, both are within a 40 – 50 minutes drive of our Playa del Carmen facility. There are 70 and more other systems within a 20 – 40 minute drive. 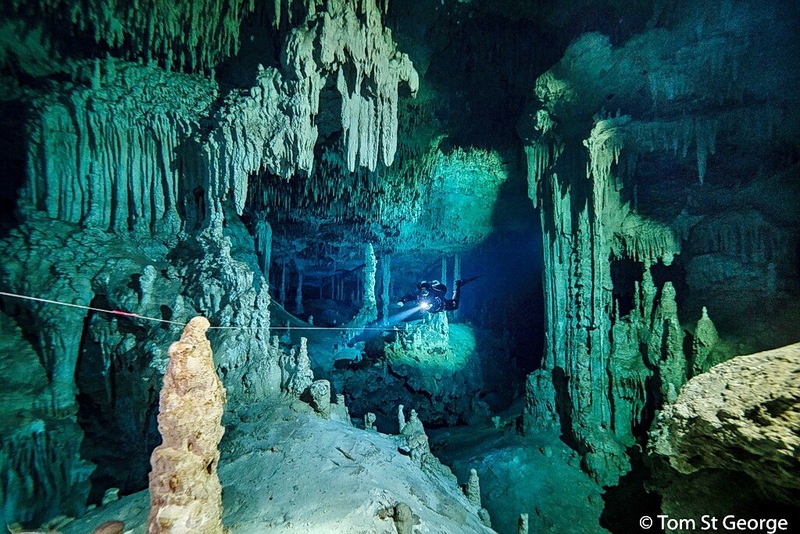 Guided cave diving is available only for certified cave divers. The number of divers in a cave is limited to two for each certified guide. This region is home of the most easily accessible, extensive and prolifically decorated water-filled caves found anywhere in the world. Nowhere else can you log two cave dives a day within a twenty mile radius for more than a week without visiting the same cenote twice! Due to the low elevation and climate of the Yucatan Peninsula, water flow in the caves is low. Consequently, divers can commonly swim distances exceeding 3,000 feet and more. Unaffected by flooding or seasonal variation, all sites are continuously accessible. Visibility is virtually unlimited throughout the year. during the dive, increases the safety and conservation of the cave through detailed plans, and makes the logistics easier (double tanks or sidemount set, first aid kit, etc., are provided). knowledgeable and well informed guide. The only thing you have to do is dive and enjoy, we take care of everything else. 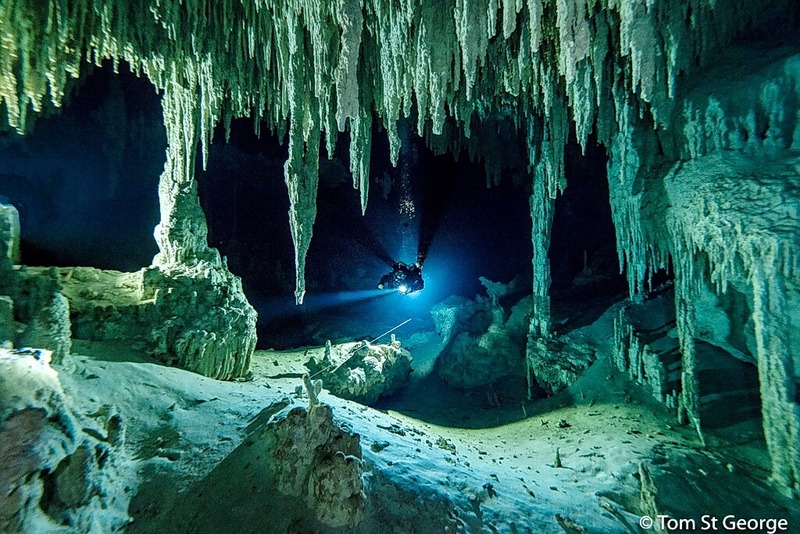 With us all divers can safely enjoy the unique cave world of Yucatán, and get an unforgettable experience. With so much diversity underground, each repeated visit to the Yucatan will always bring a true feeling of discover. We will be glad to answer any questions or set up a meeting at your convenience.